Output is nothing but displaying the data on the monitor or any output device, then we can call it as output. Input is nothing but reading the data from the keyboard or any input devices, then we can call it as input. 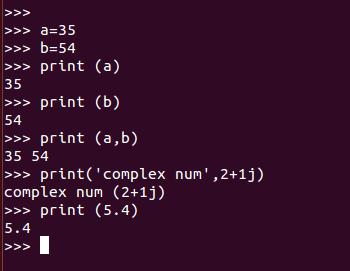 The basic syntax for print function is “print (‘statements’). print syntax is used to print the every statement in new line. input() function is also used to read the input from the keyboard. But, the difference between raw_input() and input() functions is, variable will be considered as string by default even if it’s not type casted in raw_input(). But, in input(), it will be type casted automatically with respect to input.